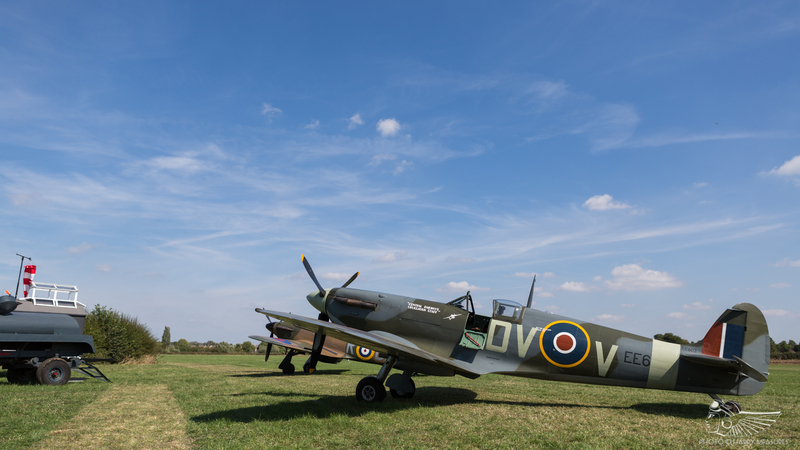 After the eleventh hour cancellation of its 2017 flying display, the Victory Show’s organisational team worked hard to find a viable solution to the display line woes that had previously plagued the venue. 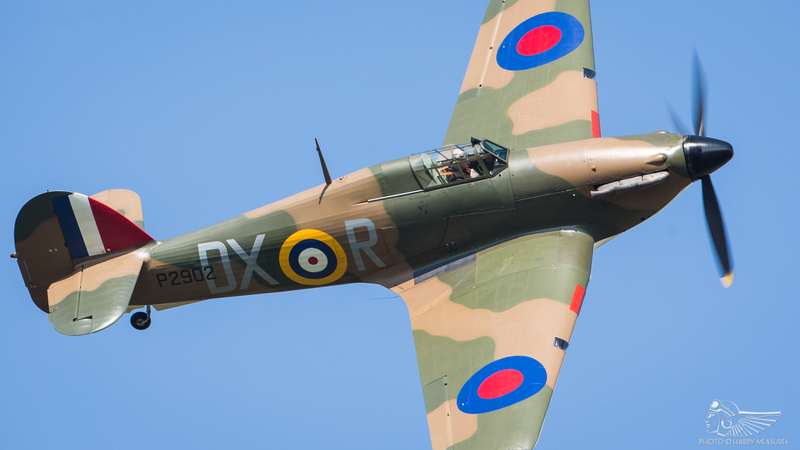 A new curved display axis and fantastic warbird-heavy line-up put the Victory Show at Cosby firmly back on the map in 2018. 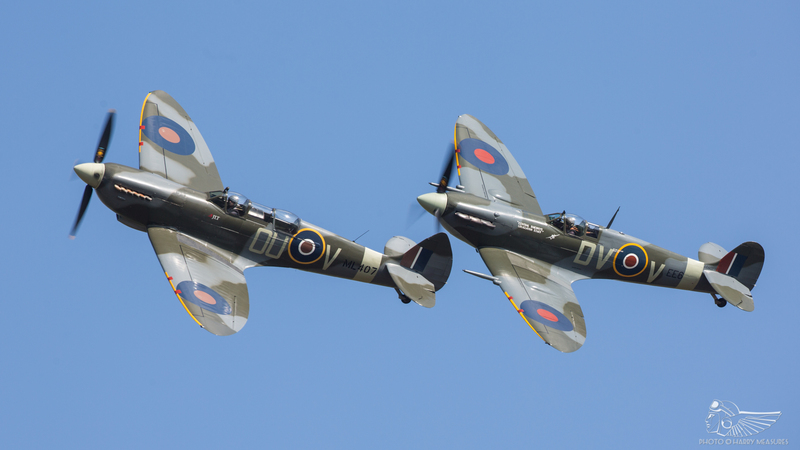 The Victory Show is not solely an airshow – rather it is a large military re-enactment with additional aerial displays, the flying element totalling around two and a half hours each afternoon. The majority of the flying acts launch from a temporary airstrip at Foxlands Farm, Leicestershire, which forms part of the Victory Show’s grounds. 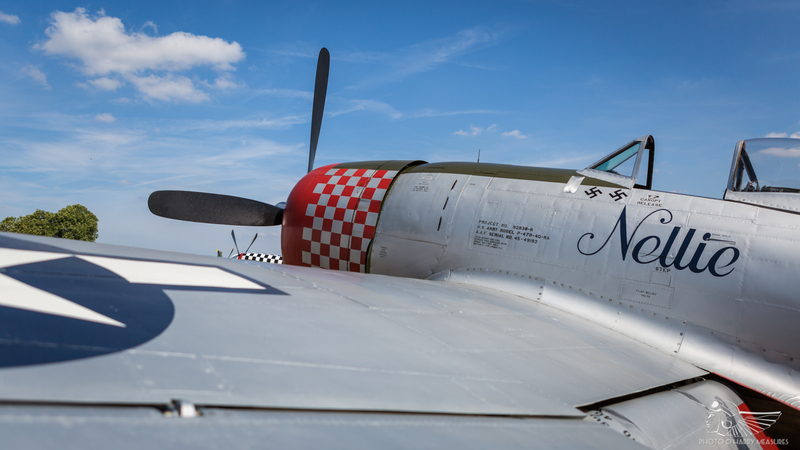 The integration of extensive military ground attractions and the vintage airshow make it unique in Europe, and for many years the event has illustrated that ground and aerial displays can complement each other when utilised thoughtfully. Cosby has struggled in the aftermath of high-profile crashes that rendered a standard display line impossible under the current CAA regulations. Prior to 2015 the event was staged with a line cranked at 45 degrees from the runway, after which the show struck lucky for just one year with a display axis that ran parallel with the runway. 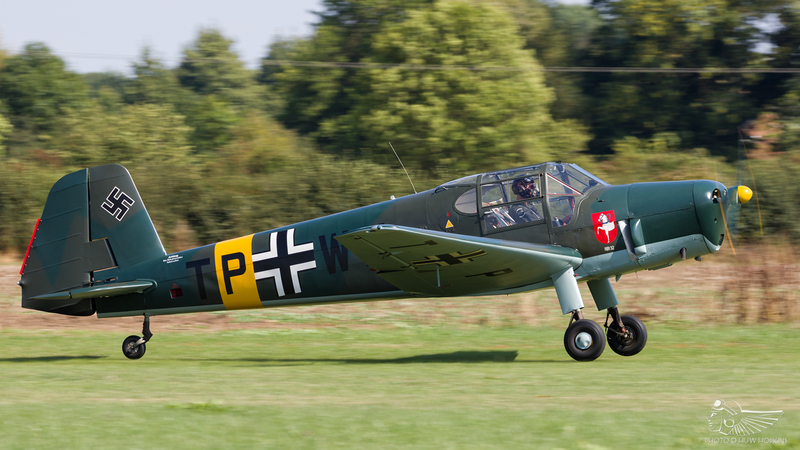 That 2015 event is still hailed as a classic, and included one of the best appearances to date of rare Seafire LF.IIIC PP972. 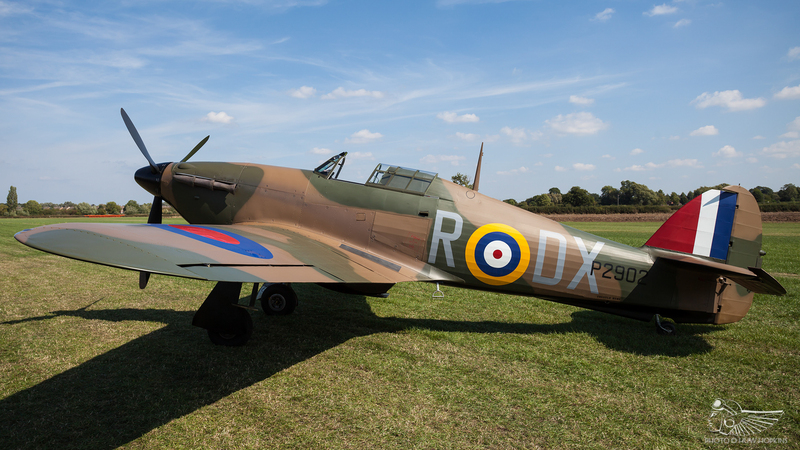 2017 was a low point for the event’s flying element as CAA-imposed restrictions made the proposed display box impractical for participants; accordingly, the flying display element of the Victory Show was cancelled, to the disappointment of many. Reassurances from the organisers ahead of the 2018 event suggested a solution had been found, but the previous issues lingered at the back of the mind up to the morning of the event. 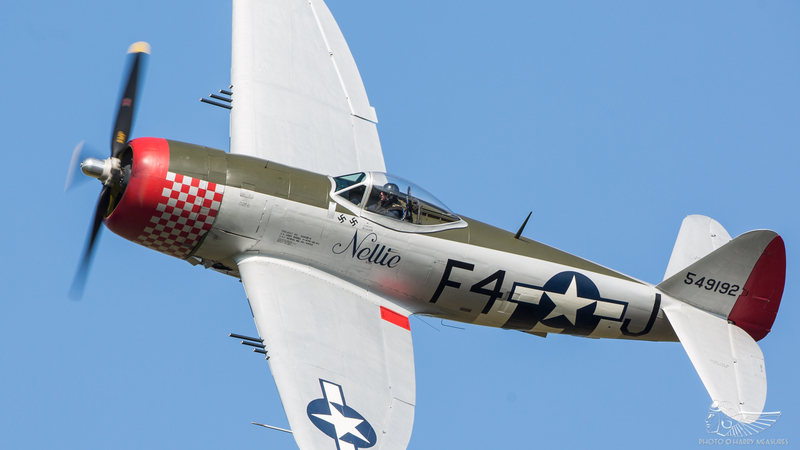 Whilst there is enough aerial activity to entertain visitors solely interested in aviation – the small airstrip offering excellent close viewing opportunities during arrivals and departures, as well as a flight line walk – those with an interest in military history will find the Victory Show to be a revelation. The ‘living history’ camps set up around the expansive showground are fascinating to wander round, with all manner of vehicles (from motorbikes to tanks and heavy armour), weapons and uniforms on display. 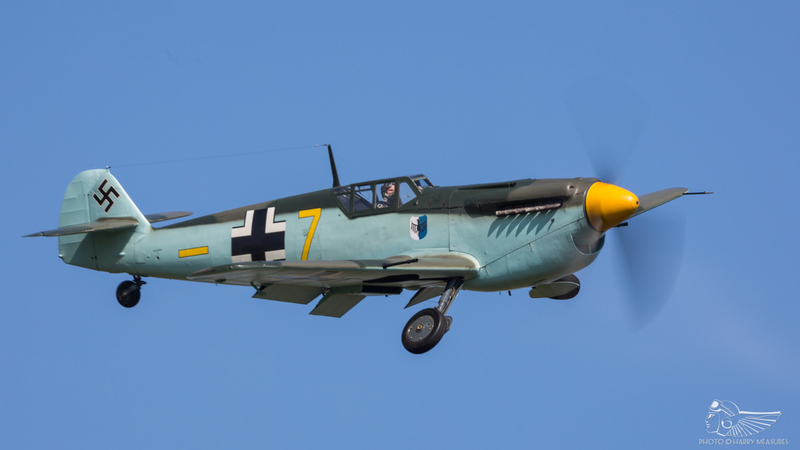 The highlight is a lengthy battle re-enactment on each day, which sees two large fields turned into a Second World War battleground as Allied and Axis forces clash with an abundance of pyrotechnics and gunfire. Dozens and dozens of troops advance with the support of light and heavy armour, the ebb and flow of combat seeing each opposing force gaining the upper hand before the Allies win the day with a surging advance of Sherman tanks and half tracks. 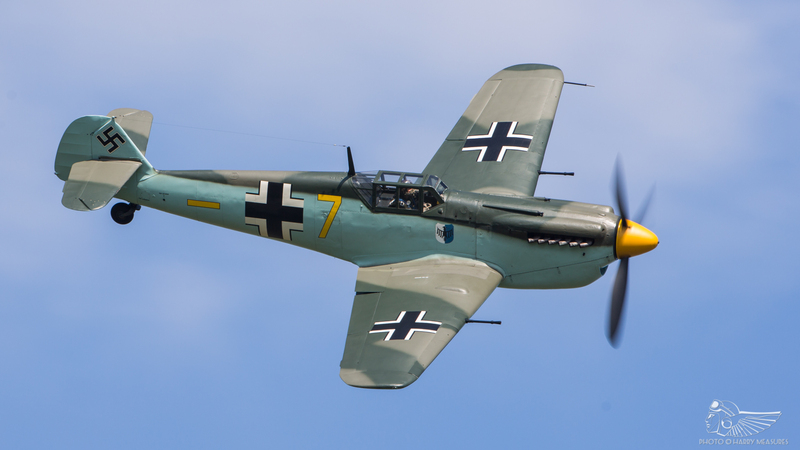 The main battle does, however, lead into the first flying display slots in the event schedule, and with the battle arena set back from the display line, those wishing to watch the flying close-up have to make a decision – leave the battle early and miss what is an engrossing re-enactment, or have their view of the opening flying act impaired. 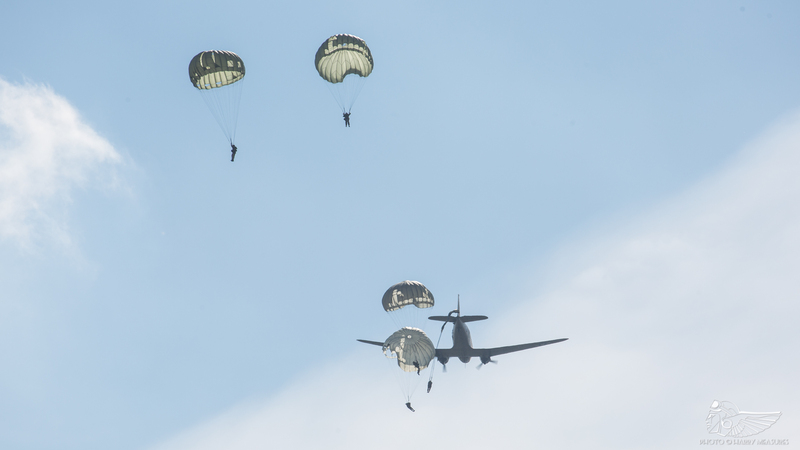 The first display act of the airshow is typically incorporated into the battle re-enactment, and 2018 saw a rare round canopy parachute drop from Aces High’s C-47 Skytrain representing the delivery of airborne units to the battlefield. The sight of the ‘sticks’ of paratroopers exiting the C-47 to the sound of gunfire and battle below proved very atmospheric. 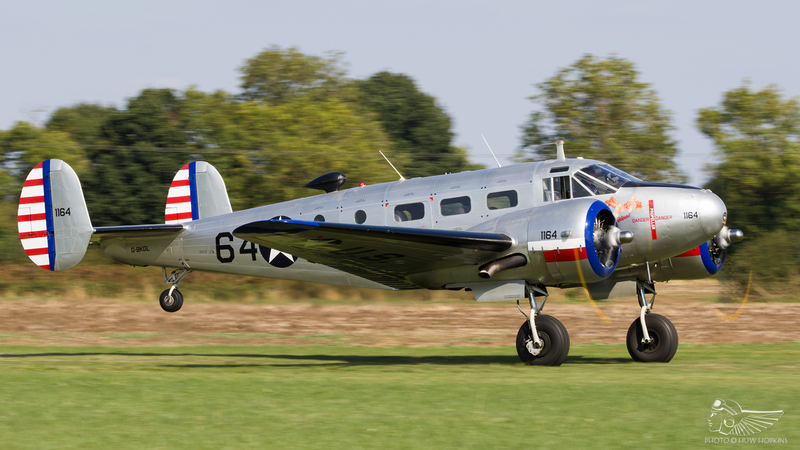 Following the drop, the C-47 performed a brief solo display. 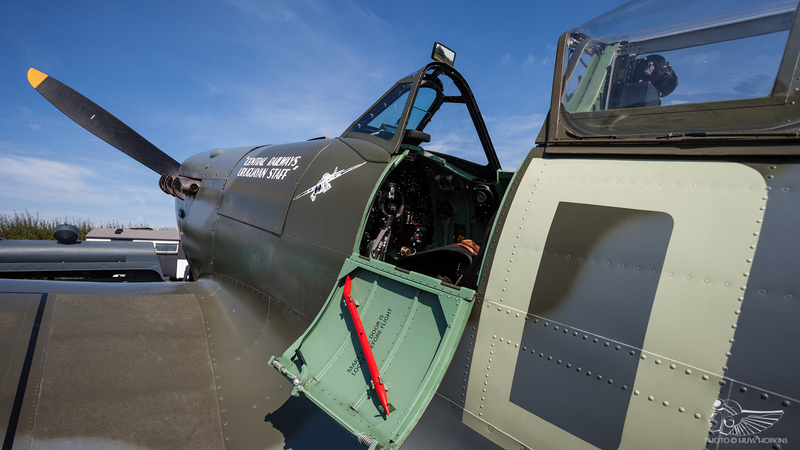 The flight line walk at Cosby is special in that there are no barriers present and for the small sum of £3, on top of the very reasonable £20 ticket price, visitors can wander unimpeded amongst the parked warbirds. Whilst this can make photography tricky, some of the angles afforded by virtue of being so close to the machines, and a little patience, make it so worthwhile. 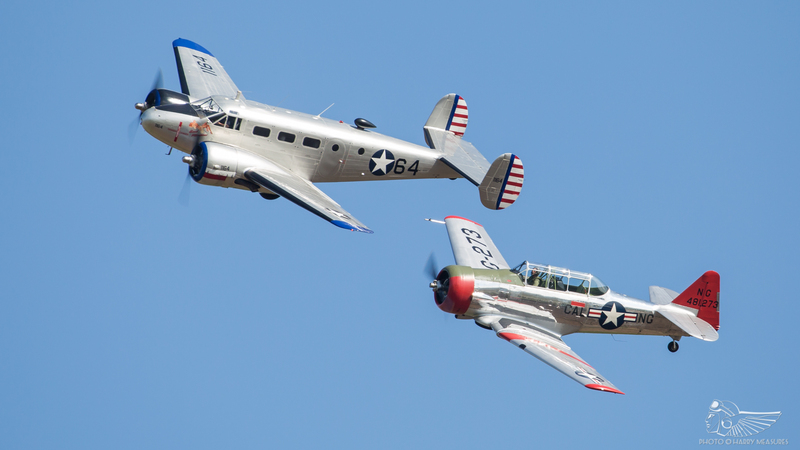 In years gone by the flying display took the form of a more traditional airshow, with back-to-back display slots made up of solo aerobatics, formations and tail chases. 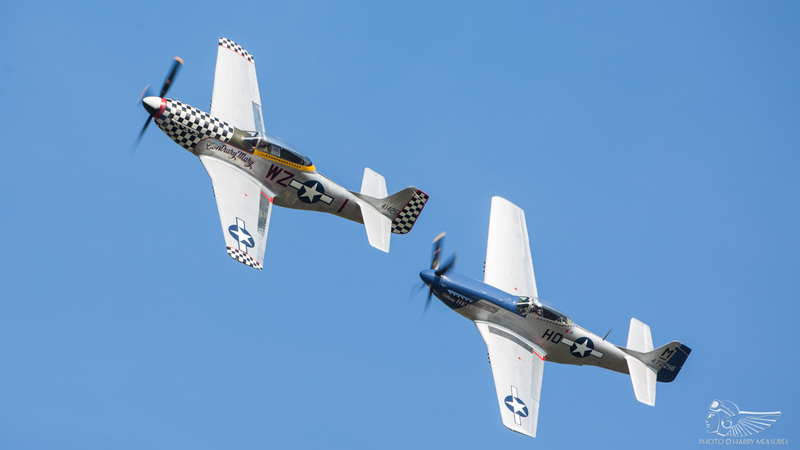 This format was tweaked in 2018, with two of the slots featuring multiple aircraft performing in choreographed set-pieces. 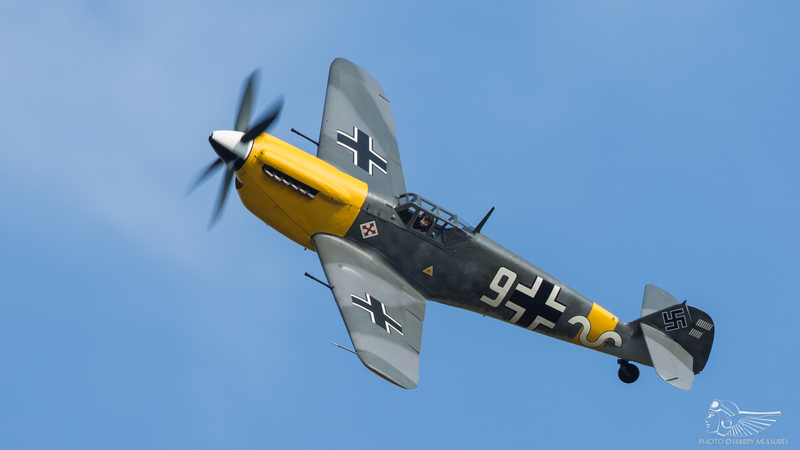 The first of these was an RAF versus Luftwaffe sequence initiated by Will Greenwood flying his old Bestmann, acting as a German spotter. He was soon bounced by a single Hurricane, this being Anglia Aircraft Restorations’ Dunkirk veteran Hurricane P2909. Alex Smee made several staffing passes over the slower Bestmann before dispatching the light Luftwaffe type. 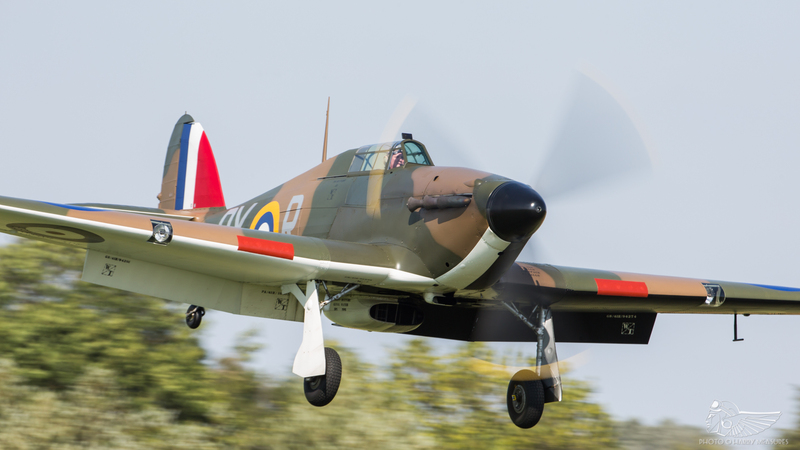 For the most part the new display line saw participants executing some true ‘banana’ passes, with the best position for viewing being the northern end of the crowd line; indeed, Smee’s passes in the Hurricane offered some of the best views of P2902 since its return to flight in June 2017. The Hurricane soon found itself in a tricky predicament as Smee was bounced by Buchón Yellow 7, the Luftwaffe fighter having launched from nearby Sywell and appearing on slot. Whilst the ‘Hun’ pursued the Hurricane, a pair of Spitfires scrambled below, with ML407 and EE602 getting airborne from the grass strip.  With the Hurricane breaking off, presumably having taken combat damage from Herr Puleston in the Buchón, the Spitfires returned to engage the German in a tail chase, eventually fending off the interceptor and carrying out further passes as a pair. Bringing the curtain down on this first sequence, the four fighters formed up for a box-four flypast that curved beautifully round the display line. Following a missed approach from the Buchón (which then returned to Sywell), the RAF fighters recovered to the strip at Cosby. 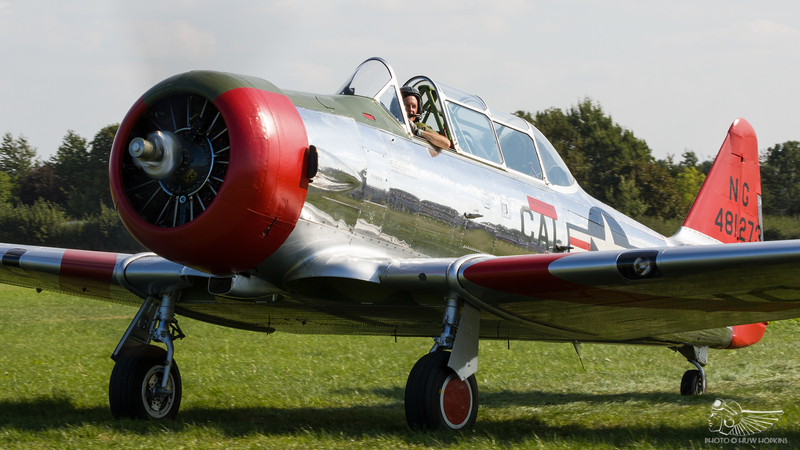 Sandwiched between the two set-pieces were a pair of visitors from nearby Leicester airfield, the Beech C45 Expeditor and T-6 Texan, which flew formation passes before splitting into solo routines. 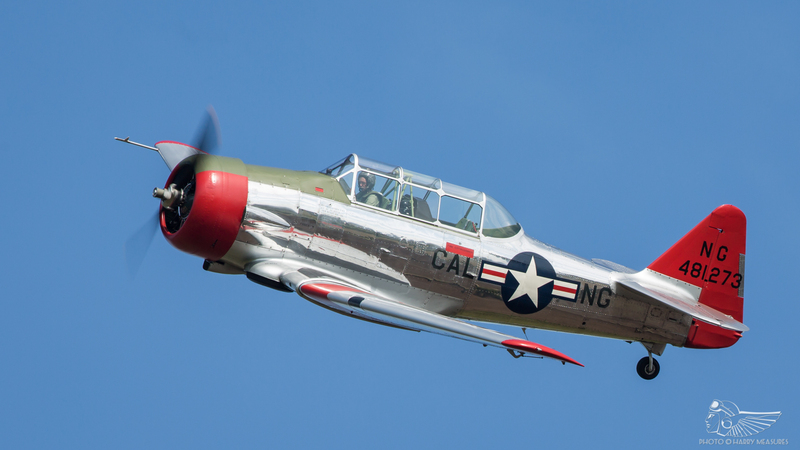 Pete Kynsey provided a lovely, if somewhat high, aerobatic routine in the immaculate California Air National Guard marked T-6 Dazzlin’ Debs and Nick Houghton offered lots of topside views of his exquisite Beech. It’s great to see this pair enjoying such an active year on the historic circuit. 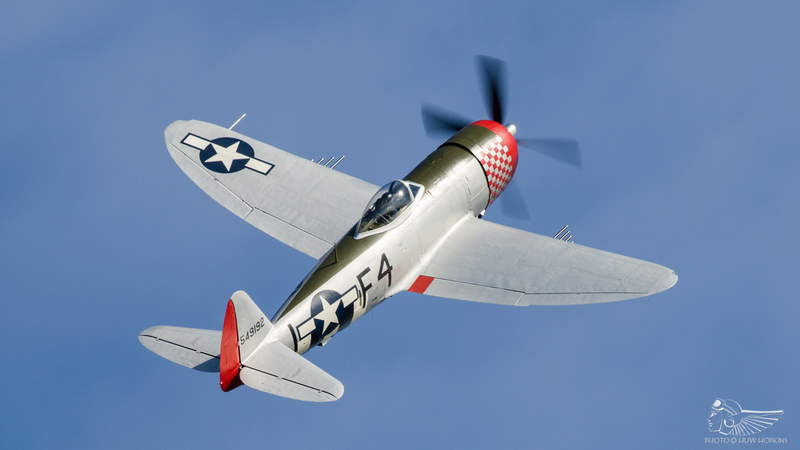 The final segment of the flying display featured the American fighters, which were impressive just thundering off the strip at Cosby – particularly so the P-47. 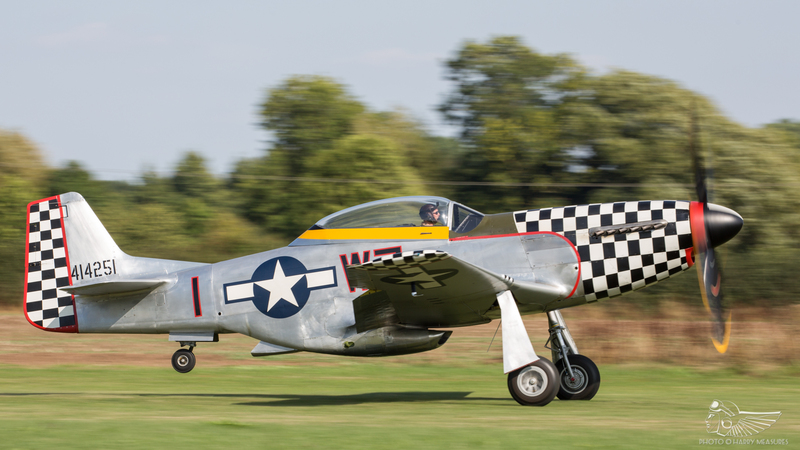 The trio of Thunderbolt and two Mustangs began with a ‘vic’ three flypast followed by the Jug going into its solo display. Diving in from height, Richard Grace had the Thunderbolt going like a freight train as he yo-yo’d skyward for a series of aerobatic figures, demonstrating the vertical penetration of this awesome fighter. Richard utilised the curved crowd line perfectly too, repositioning over the shoulder for barrel rolls and giving a lovely view of the aircraft with some perfect arcing topside passes. 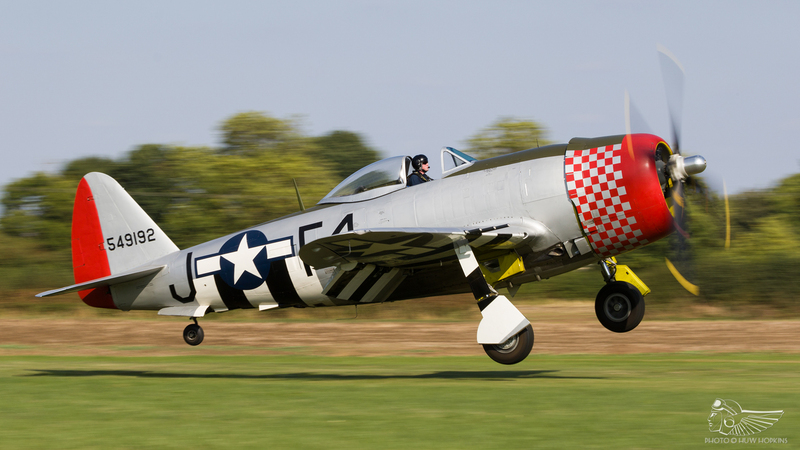 The Thunderbolt was bounced by another Buchón, this time four-blader White 9, for what was the only air display pairing of the types in the Jug’s first year back in the UK. As Steve Jones chased Richard Grace through the sky, the disparity in size between the diminutive Buchón and the American juggernaut was well illustrated. 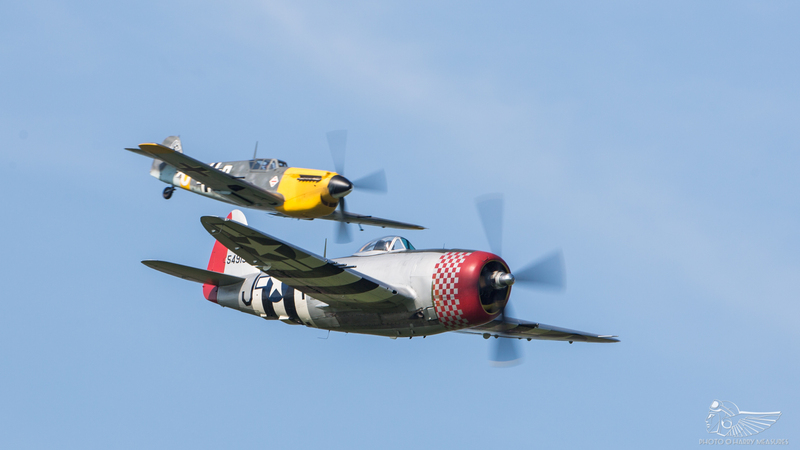 With the Thunderbolt departing stage right, the Buchón was in turn intercepted by the Mustang pair. Although the new line did somewhat restrict the displays of the aircraft, the pared down and lyrically executed multi-aircraft set-pieces built into the flying programme were genuinely exhilarating to watch. 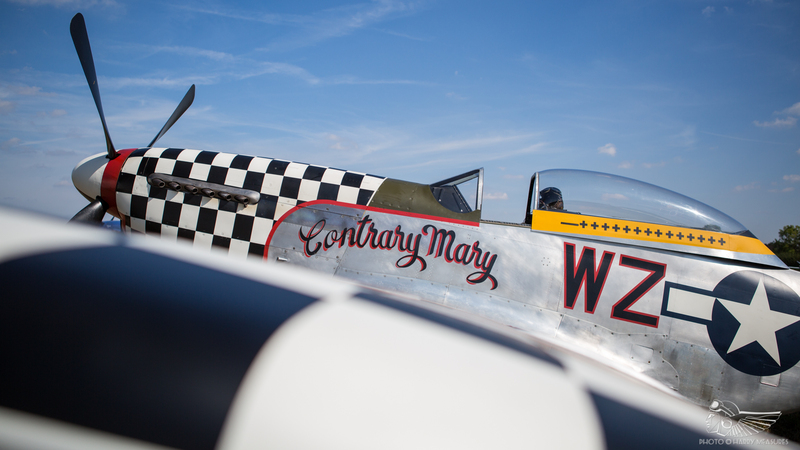 TF-51D Contrary Mary and P-51D Miss Helen, flown by Mark Levy and John Dodd respectively, pounced on the lone Luftwaffe fighter before taking centre stage with a series of superbly flown close formation passes. 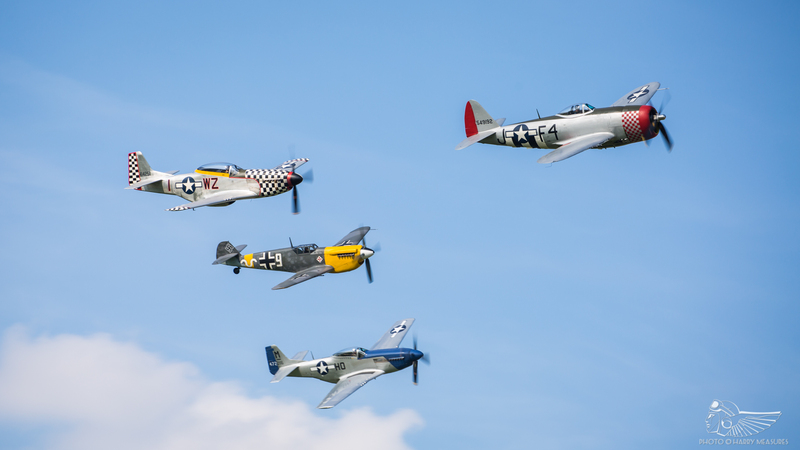 Finally, the flying display was brought to a close with a flypast of the quartet, putting an exclamation point on what had been an excellent sequence. The marquee set-pieces were terrifically choreographed, this climactic display particularly so. The fresh take on the Victory Show’s flying display worked very well indeed. 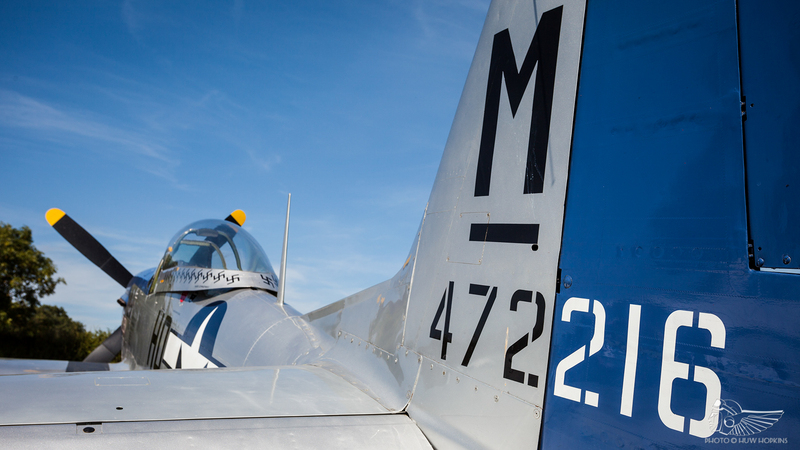 Organising different groups of aircraft into mock dogfight scenarios helped utilise them to best effect, mitigating any restrictions caused by the new display line and allowing visitors to see different combinations of types flying together in an interesting ‘theatre of the air’ format. The aerial combat perfectly suited the theme of the show too, echoing the dioramas and mock battles played out in the showground. In the round, I was buoyed by the 2018 show. Whilst the new display line may not live up to 2015 standards, the regulatory changes imposed on the venue make it unreasonable for us to expect it to. 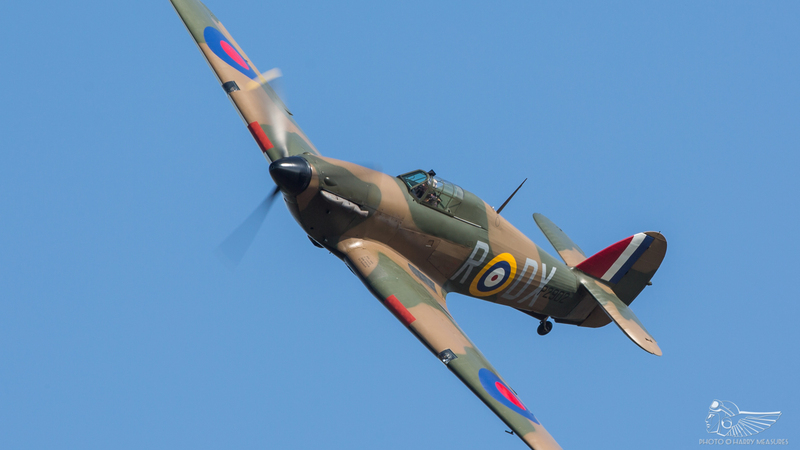 What the organisers and the CAA have done, however, is to find the best possible compromise under the circumstances, and one which provided an entertaining flying display with plenty of photographic possibilities to boot. 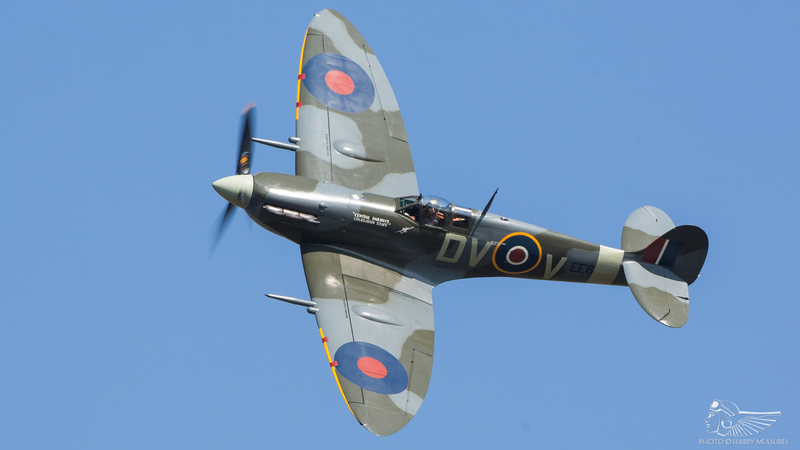 More importantly, it will hopefully allow the Victory Show to endure; we’ve lost far too many of those smaller, intimate, grassroots air displays in the last decade. Fingers crossed that the success of Cosby 2018 means it shall continue for many more years, and one hopes that word of mouth spurs enthusiasts to make the trip to Leicestershire in 2019. 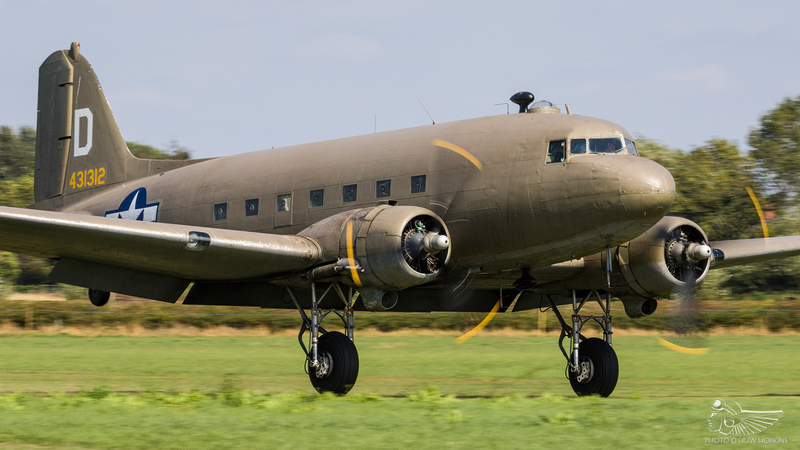 With the organisers once again demonstrating a good eye for booking some of the most sought after historic aeroplanes on the UK display circuit, particularly those from the burgeoning Air Leasing/Anglia Aircraft Restorations stable, the show is definitely one to watch in future years.